uplifting oneself to the highest heights! there are always new guests on Shabbos in Belz!" Many people are looking to help the victims of Hurricane Sandy, and many different organizations have been assisting them. The following is a list of some of organizations where you can donate and assist your brothers in need. 1) New York's leading Jewish Chesed groups have agreed to create an emergency fund to support local victims of Hurricane Sandy. The Emergency Sandy Chesed Fund will be managed by Chevra Hatzalah with the support of the following organizations: Hatzalah groups, Shomrim, Misaskim, Chaveirim, Met Council, Yad Ephraim and neighborhood Jewish Community Councils. It was formed at a meeting called by Councilman David G. Greenfield. 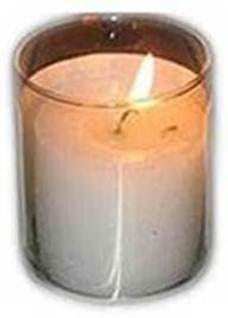 All proceeds of the Emergency Sandy Chesed Fund will go directly to victims and victim services. No donations will be used for administration or overhead. 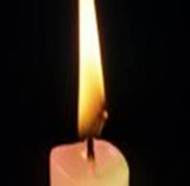 The community is encouraged to donate generously via this website: www.EmergencyChesedFund.com. 2) There are countless families in the Five Towns, Far Rockaway, Bayswater and Long Island that are totally wiped out, having suffered crippling losses, losing homes, cars, clothing, everything. They are literally left with only the proverbial clothing on their backs and are in a shocking situation. Hundreds of others have been severely impacted. To assist our community in this time of desperation, the Achiezer organization has begun a campaign, chaired by distinguished baalei batim to allow those of us who are fortunate enough not to be suffering from the after effects of the hurricane, a once-in-a-lifetime direct pikuach nefesh opportunity. The trustees listed below will oversee the funds raised in this campaign to insure that every penny goes directly into the hands of those who have lost so much due to the devastating hurricane. A special accounting of every dollar will be available at the end of this campaign. Any monetary assistance, big or small, will help to alleviate the overwhelming need of our friends, neighbors and brothers. You can donate by clicking HERE. 3) In the community of Sea Gate, the devastation is real, the damage is more than just physical. Families have lost everything. "The only thing left is the shirt on my back", is no longer a saying, it's real. A fund to assist the local community has been set up and is being administered by Harav Pinchos Meisels, the Dayan of Seagate. You can donate by visiting the website for the Sea Gate Hurricane Emergency Fund. PLEASE EMAIL THIS STORY TO AS MANY PEOPLE AS POSSIBLE. Fwd: Rav Lieber "HaGadol" of Berdichev - The Founder of Berditchev .Zecher Tzadik Livracha. Zechusoi Yagen Aleinu. Amen. A Gutte Vuch To The Gutte Nation. 28 Tishrei - Rav Lieber "HaGadol" of Berdichev His real name was Rav Eliezer ben Rav Avraham (1771) one of the Talmidim of the Baal Shem Tov. He was a great-grandson (ben acher ben) of R' Shimshon Ostropolier and was also a descendent of the Megaleh Amukos.. Zecher Tzadik VKadosh Livracha. Zechusoi Yagen Aleinu.Amen. Rav Lieber HaGadol had a unique way of combining his "Avodas Hashem" with an incalculable love of every Jew. At night, when he wandered around the giant forests surrounding Berditchev in order to learn, daven and ponder over Hashem's wonders, he simultaneously kept a sharp lookout for any sheep and cattle that may have strayed away from their owners during the day. At the end of the night, he would drive the animals before him back to Berditchev, pausing beneath people's windows to call out, "Here is your goat!" "Here is your cow!" Although he had never been an official talmid of the Baal Shem Tov, Rav Lieber, the founder of the Berditchev kehillah, sowed seeds of Chassidus in his town that exploded into full bloom during the years of Rav Levi Yitzchak of Berditchev. 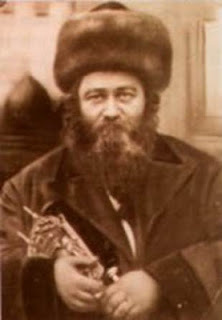 It is not surprising that Rav Lieber became one of the greatest Ukrainian "gedolim" of his time as he was the great-great-grandson of two renowned giants, Rav Shimshon of Ostropol and Rav Nasan Shapiro, author of the Megalleh Amukos. This is why Rav Lieber instructed in his will that no descendants of his should ever marry kohanim. He had received this warning from his ancestor, Rav Shimshon of Ostropol who explained that because his family was descended from Dovid HaMelech, combining kehunah with malchus could lead to the family's destruction. Rav Lieber's father, Rav Avraham, had fled from Krakow to Bistritch in the Ukraine, probably during the Swedish invasion of Poland (5415/1655-5418/1658) when thousands of Jews from Krakow, Kalish, Piotrikov, Poznan and Lublin were slaughtered by Swedes, Poles and the plague. Some historians estimate that about half a million Polish Jews died during these few years. Although most of the Polish Jews returned home afterwards to patch up their lives, many others, including Rav Avraham fled to other countries to make a new start. After all, do not Chazal (see Rosh Hashanah 16b) state, "Shinui makom shinui mazal," "Changing one's place can improve one's mazal?" 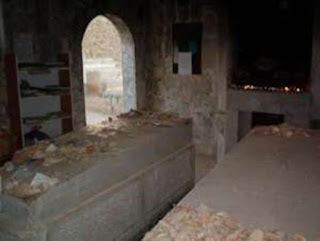 Sadly, Rav Avraham's mazal did not seem to have improved since he died while still a young man but he left his young son, Rav Lieber, ten thousand gold coins. Rav Lieber immersed himself so deeply in Torah, it is said, that every night, his famous ancestors descended from the heavens to teach him the secrets of Kabalah. In those days, Berditchev barely existed. Although first founded in about 5190/1430, reputedly by someone named Berdich, it had been destroyed by the Tartars and then only a handful of Jews lived in its vicinity. Most of Berditchev was still thick, untouched forest. Something about the wild, unpopulated area attracted Rav Lieber like a magnet and he felt certain that there was something unique about the place. After his father's passing, he would cross the river every morning and evening and stroll among its ancient trees, reveling in the opportunity to be alone with Hashem without disturbances. He maintained this custom for months and years. One morning, the ducal owner of Bistritch and its environs was traveling in the forest in his coach when his horses suddenly halted and reared upwards, almost throwing the duke out of his carriage. They had been startled by Rav Lieber, who was standing in the forest track in his tallis and tefillin, totally unaware of the coach that had almost run him down. Using every ounce of his strength, the duke's Ukrainian coachman somehow got the horses under control. Then the infuriated duke ordered his tough coachman to give the insolent Jew a whipping he would not forget. The coachman did not need to be told twice; his whip sang through the air biting into Rav Lieber's clothes and flesh. However, Rav Lieber was so engrossed in his davening that he did not notice a thing. "What's going on?" the coachman asked his master. "What should I do? No matter how much I beat this person, it makes no impression. He isn't a human being!" "Leave him alone!" the duke said in disgust. "Let's go." Back home, the duke leapt from the carriage and strode confidently into his luxurious mansion; suddenly his legs and arms went limp and he collapsed onto the floor. "Help, help!" he cried out. The servants who ran in from every direction could not do anything except carry him to his room and put him in bed. There he lay helpless as a newborn, and his doctor declared that his condition was hopeless. Help came from an unexpected quarter. Like most Ukrainian land-owners, the duke had a Jewish arender (estate manager). When he heard what happened, his face turned white. "Do you know who the person the duke beat up must have been?" he asked the servants. "Obviously our great maggid who crosses the river to pray every day! I am certain the duke will never recover from his paralysis until he begs him for forgiveness!" The duke immediately sent his doctor to help Rav Lieber recover from his beating and to bear a message begging his forgiveness. This was a golden opportunity for Rav Lieber to fulfill a long-time dream. "I will forgive the duke if he builds a large shul at the place I was praying and a house next door in which to live," Rav Lieber told the doctor. The duke hurriedly built the shul and the house and, after his recovery, he visited Rav Lieber and asked if there was anything else he wanted. "Yes," he replied. "I would like you to build a town next to the shul." This is how the Berditchev kehillah was founded in about 5451/1691. It is not surprising that the mere mention of Berditchev's name evokes spiritual longings in Jewish hearts, as Rav Lieber used to say that the shul he built was sited opposite the gateway to Heaven where the prayers of Klal Yisroel stream skywards. This is one reason Rav Levi Yitzchak of Berditchev established his kloiz and home right next door to the old, original shul of Berditchev when he moved there after Rav Lieber's passing. In addition, Rav Lieber built a beis medrash next to his shul where he taught revealed and hidden Torah to talmidim. Once the Berditchev kehillah began thriving, Rav Lieber served as its maggid. Despite his deep Torah knowledge, he always bowed to the authority of the Berditchev av beis din, Rav Yosef Halperin, known as Rav Yosef Charif because of his sharp mind; the only time he paskened shaylos was when Rav Yosef was unavailable. On one such occasion, a butcher came to Rav Lieber with an animal's problematical lung. "This lung seems to have a sircha (lesion)," the butcher told him. "Does this make it treif?" "Certainly!" replied Rav Lieber who was generally machmir (stringent) when it came to sirchos. "This animal is absolutely forbidden!" At that very moment, Rav Yosef entered and Rav Lieber asked his opinion about the sircha. "I say that is kosher!" the rav replied. "Oy vey!" cried out Rav Lieber. "My apologies to you Reb Yid (the butcher) for almost causing you a great loss, and my apologies to you, lung, for ruling that you are treif!" If Rav Lieber had such love and consideration even for an inanimate lung, imagine the feeling he had for Klal Yisroel! The depth of his love for every Jew was indescribable. In his home, he always had a special room ready with twelve beds for any tired and hungry wayfarers who might pass by, and he treated his simplest guests like honored personages. There is a story told that this great hospitality almost led to tragedy when Rav Lieber once remarked to his sons, "In the Next World, I will not be embarrassed of my hachnosses orchim even before Avrohom Avinu!" As this tiny shred of pride was unfitting for his lofty level, it was decreed on high that he should not live out the year. When Eliyahu HaNavi heard of this impending tragedy, he rushed before the Heavenly beis din and fervently pled in Rav Lieber's defense. How could such a tremendous tzaddik be condemned to perish for making a miniscule error? The court ordered that Eliyahu HaNavi should come down in the form of a ragged, filthy pauper and test Rav Lieber. If Rav Lieber received him pleasantly and gave him every honor, the decree would be revoked. Of course, Eliyahu's duty was to make this trial as difficult as possible. Eliyahu HaNavi arrived at Rav Lieber's home moments before Shabbos just as Rav Lieber was about to set off to shul. Physically, he seemed the most repulsive looking person Rav Lieber had met in his life. "I'm hungry!" the stranger slurred. "Give me something to eat!" "But it is time to go to shul," advised Rav Lieber. "I need food now!" retorted the pauper. Rav Lieber immediately brought him a generous plateful of food. However, the poor man's stomach was a bottomless pit and as fast as Rav Lieber rushed in food from the kitchen, the stranger gluttonously gobbled it down. In one sitting, down went the challah, fish, soup and chicken of Shabbos night, down went the cholent and kugel of Shabbos morning, and down went the fish of shalosh seudos. "Let us go and daven," suggested Rav Lieber when the stranger was temporarily sated. "You go yourself," said the visitor. "I want to sleep now – in your bed." Clambering in Rav Lieber's bed with filthy clothes and muddy boots, the stranger fell into a stupor but not for long. By the time Rav Lieber returned from shul, he was already up like a new man with a new appetite, ready once more to eat his host out of house and home. The same thing happened on Shabbos morning. With no food left in his house, Rav Lieber brought in food from relatives and neighbors. The guest's coarse behavior all this while was beyond description. After Havdalah, Eliyahu HaNavi revealed his true identity to Rav Lieber and told him, "Because of your momentary pride, the Heavenly court condemned you to death. I came down to save your life, and because you did not get angry once this Shabbos, your sentence has been transmuted to a year of exile. You may not spend two nights in the same town except on Shabbos and Yom Tov. Set out now!" The following morning, Rav Lieber instructed a tailor to sew him a suit of coarse traveling garments and took a wagon to Brod, intending to go from there to Austria where no one knew him. He arrived in Brod on Erev Shabbos, made his way to the local Jew in charge of giving people a place to stay and was assigned to spend Shabbos with the uncouth Jew in charge of the beis kevaros. After enduring a terrible Shabbos night, Rav Lieber went to the local shul that was headed by Rav Ephraim, a son of Rav Tzvi Hirsh Ashkenazi (the Chacham Tzvi) and a brother of Rav Yaakov Emden. During davening, Rav Ephraim noticed Rav Lieber crouching near to the oven and recognized him immediately. "With my authority as rav of this town," he commanded him, "I hereby order you to sit in the mizrach (the most honorable location)." After calling him up for shlishi during Kerias HaTorah, Rav Ephraim took Rav Lieber home and honored him like a king. However, Rav Lieber felt as if he was sitting on shpilkes (pins and needles). Is this how he was supposed to be spending his galus? "Please hurry and bentch," he implored his host at shalosh seudos. "I have to leave Brod immediately. "What is the hurry?" inquired Rav Efraim. "I am in galus and cannot stay in one place for more than one night!" he replied. Suddenly Eliyahu HaNavi appeared with good tidings. "Yom leshanah!" he told Rav Lieber. "Your one day of galus has been counted as a full year and you are free to go home whenever you wish." Rav Ephraim was overjoyed to have the privilege of hiring an elegant coach and sending his distinguished guest back to Berditchev. Whenever the Baal Shem Tov visited Berditchev during his travels throughout Poland and the Ukraine, he always insisted on staying at Rav Lieber's. "Rav Lieber is unique!" he used to say. "While there are a number of Tzaddikim who merit Gilui Eliyahu, by Rav Lieber it is the opposite – Eliyahu merits the Gilui of Rav Lieber!" Rav Lieber's wife passed away in his old age, and one of his young nieces agreed to marry him on condition that she be blessed with righteous offspring; they named their son Yaakov. None of Rav Lieber's descendants achieved his fame and renown. This is because Rav Lieber was once asked by Heaven what he preferred – to have sons and grandsons whose fame would spread far and wide, or to contribute a portion of his merit to speed the Moshiach's arrival and Rav Lieber chose the second option. Thus even though this son, Rav Yankele, became the son-in-law of Rav Yechiel of Mikolaiv, one of the Baal Shem Tov's great talmidim, he never achieved his father's immortal fame. Although Rav Lieber always revered the Baal Shem Tov, he never became his talmid or followed his path of Chassidus. His awe of the Baal Shem Tov increased dramatically after the Baal Shem Tov's passing when the Megalleh Amukos, who appeared every night to study with Rav Lieber, suddenly stopped coming. 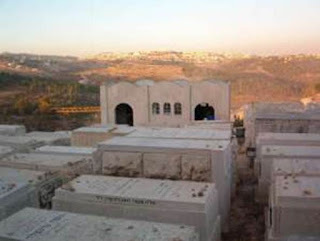 Concerned, Rav Lieber sent his older son, Rav Yechiel, to the Megalleh Amukos' grave in Krakow to inquire what happened. "Since the Baal Shem Tov's passing, the yeshivah shel ma'alah has closed down for thirty days," the Megalleh Amukos told him." "It is from there that I get the Torah I study with your father." Rav Lieber then drew closer to Chassidus, mentioning its wisdom in his Shabbos drashos each Shabbos. Through these teachings, the Jews of Berditchev became receptive to its ideas when talmidim of the Baal Shem Tov, including Rav Leib Sarahs and Rav Yaakov Yosef of Polonoye, began passing through, and by the time Rav Levi Yitzchak of Berditchev arrived in 5545/1785, it was easy for him to create a major Chassidic metropolis. By then, Berditchev had a thriving kehillah of about 2,000 Jews who comprised seventy-five percent of the town's population. The kehillah reached its highpoint in 5621/1861 when its 46,683 strong community was the second largest in the Russian Empire and the only major town of the empire with a Jewish majority. Rav Lieber enjoyed an extremely long life, passing away in 5531/1770, aged 104, during a violent plague which was killing so many that survivors were afraid to bury them according to halacha and interred them in mass graves. "Great destruction has been decreed on the community," declared Rav Lieber. "I hereby accept death upon myself instead!" Calling four people to him, he promised them a place in Olam Haba if they would perform all the customs of interment on him and bury him properly instead of throwing him into a mass grave. He then passed away and the plague abruptly ceased. May Rav Lieber's memory be a blessing. Zecher Tzadik VKadosh Livracha. Zechusoi Yagen Aleinu. Zecher Tzadikim U'Kadoshim Livracha Zchusom Yagein Aleinu V'al Kul Yisrael. Amen!! !